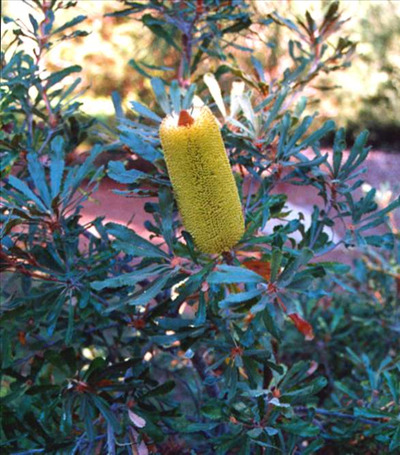 Handsome shrub with dark green leaves and large terminal, scented, yellow flowers from summer to winter. Tolerant of frost and extended dry periods once established. Prefers well-drained light to heavy soils in full or partial sun. Useful windbreak for coastal situations - tolerates salt spray - and for erosion control. Grows well in Ojai in slightly alkaline soils. Prostrate form sometimes grown.